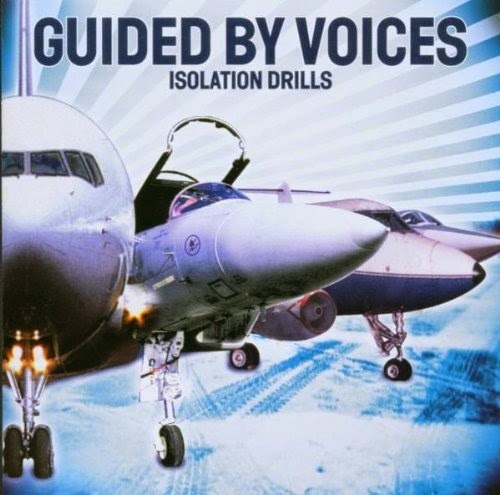 Overview – This is the 12th studio album from Ohio based indie rock band “Guided By Voices”. This was the bands first album to crack the Billboard top 200, peaking at #168. This would be the second, and final record the band would release on the TVT label. “Sister I Need Wine”. Mostly acoustic guitar based with the haunting drone of cello and a bit of layers on Pollards vocal track show an unique side of GBV. “Want One?” rolls right away it feels like it is in part of the last track. A bit disjointed as it moves along but continues to challenge the listener in a good way. "The Enemy" has another “demo” feel to it at the very start, but the great guitar riff grabs you and puts you right back where you want to be...in a happy place. The riff alone will pull you back in time and time again. “Unspirited” begins with a solo guitar and Pollard comes in and the call and response vocal verses are a nice touch. The record is a grower, as it chugs along it feels like it matures, a band finding its direction. "Glad Girls" was another track that had a few commercial spins. Listen for yourself, and if you can do so without wanting a beer (in a can) and jumping around the room you are a better person than I. “Run Wild” is a bit more dark than the prior few songs, with a slugging guitar, but come the chorus it opens up to another one of the finer tracks on the record. “Pivotal Film” gives you that one channel guitar, before the full band comes in. The bass fills are subtle, but big and sweeping which is great, and the layers of vocals on the chorus are another nice touch. “How's My Drinking?” slows it some form the prior few tracks, which keeps the full mix of the record on point. Its a longer almost “hook free” track. An odd name for a track comes in “The Brides Have Hit Glass”. One needs to listen to it, to really get the idea. “Fine To See You” is a quieter track with a piano layer (provided by Elliott Smith) gives another dimension to GBV. Wrapping up is “Privately”a track that suits the record well with its big guitar, tight drumming and bass fills. A solid closer to a pretty darn solid record. Where are they now? The band has had its ups and downs, breaking up, taking breaks etc, right now they are broken up. For a band that seemingly has and endless output of solo, side projects you won't need to wait too long to hear something you'd be interested in. FDF Overall Take/Was it worth Dusting Off? - Very much so. For a casual listener like myself this could be a jump off point. Its very accessable and has some great hooks on it that should pull even the stuffiest of stuffed shirts in. Take a chance, there is a massive catalog awaiting you! The band released two records in 2014, then called it a day in September...so who knows?! Sorry for the lack of content the last few weeks. Typical of this time of year I realize. Will work to have at least one more up before 2014 closes its window. Been re-listening to a lot of the great things that came out his year as well and prepping my usual "favorite records of XXXX" list. Thanks for stopping by. Hopefully next week!